BTW NOTE: Thus, Adam and Eve in the garden being naked and unashamed before the Fall speaks of a profound freedom that was lost in the Fall, but can be regained in Christ. 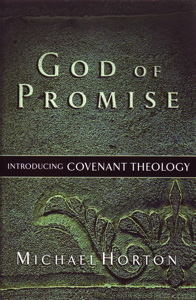 In this chapter, Horton goes into the Ancient Near Eastern background behind the biblical concept of covenant. Surprisingly, many of the covenants in Scripture have similarities to these secular treaties (cf. Kline, Hillers, Mendenhall), specifically Hittite suzerainty-vassal treaties. He then explains how these Hittite treaties worked, their form, and the rituals involved in confirming them. The covenant is important for understanding God’s relationship to man, because there can be no “natural relationship” between them (contrary to pagan and various pantheistic claims). God’s relationship with man is a by-product of the covenant and God’s condescension to our level). These covenants, particularly Israel’s, were intended to bring stability and security. Even though Biblical covenants manifest clear similarities to ANE secular law, when YHWH becomes the suzerain, they develop religious connotations. Horton then gives his modus operandi for studying the Biblical covenants in this book: Law–> Prophets–> New Testament. Lastly, Horton discusses the differences between the Biblical covenants and suzerainty treaties, the quintessential difference is that YHWH forbears and is gracious to Israel when she fails to fulfill her covenant duties: grace is the difference. He also discusses the role of the Israel’s kingdom in redemptive-history in relation to Adam and Christ. He also discusses the idea of the “royal grant” or “patron covenant” (which is another ANE secular treaty). Back to the God of Promise Table of Contents. God of Promise can be purchased here.